Dahlonega Wedding. 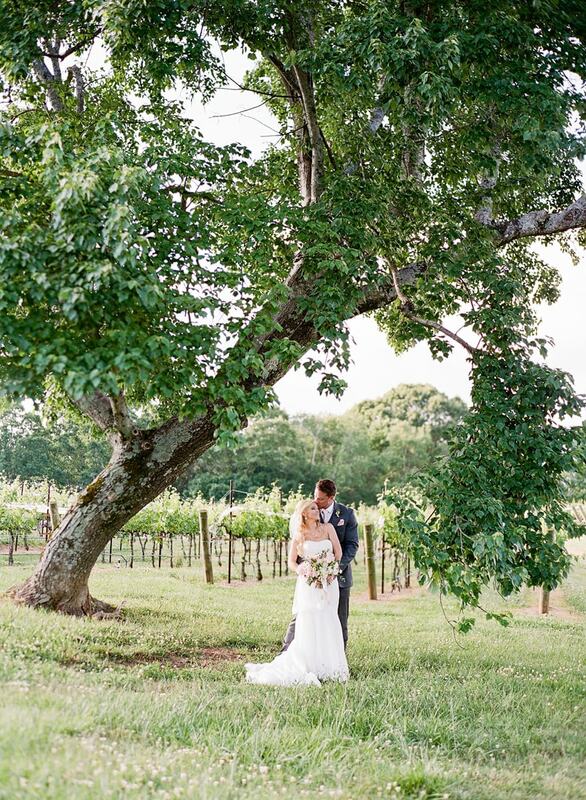 For Amanda and Jeremiah, their Tuscan-themed wedding at Montaluce Winery and Restaurant in Dahlonega, Ga., was inspired by one very special trip to Italy. It was during this trip that not only did they fall in love with Tuscany but where Jeremiah proposed. So, naturally they flew back home and found a venue that echoed Italy’s rustic, relaxed atmosphere. They sent out classic invitations with darling ribbon jackets. 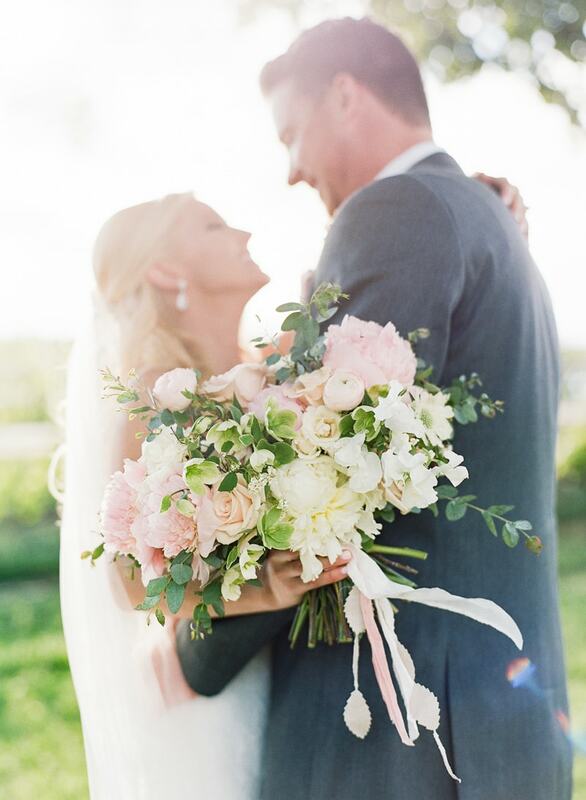 A color palette of ivory, blush, and hints of green outfitted this Tuscan-inspired wedding day. 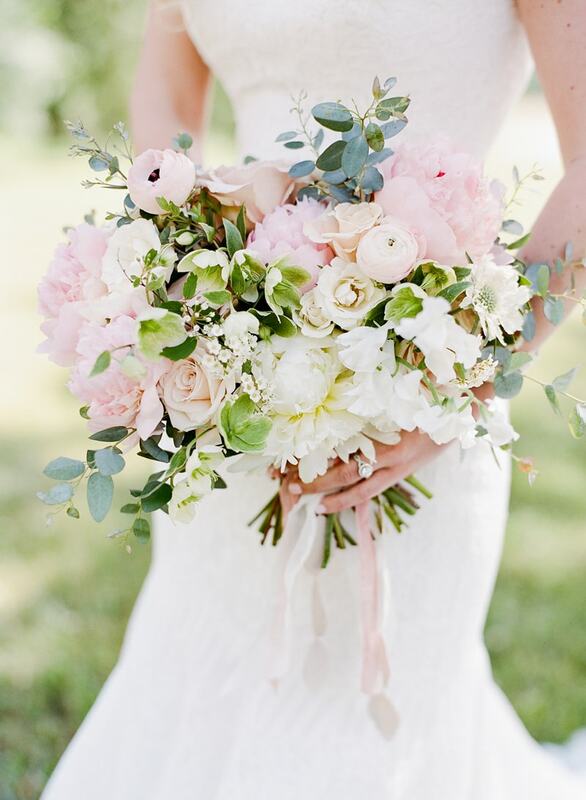 Amanda’s loose bouquet teemed with romantic blooms like peonies, blush roses, eucalyptus, and more. It was tied with silk pink ribbons for a polished finish. The blonde-haired beauty chose a strapless fit and flare gown for her wedding day, which featured lace from neckline to hemline. 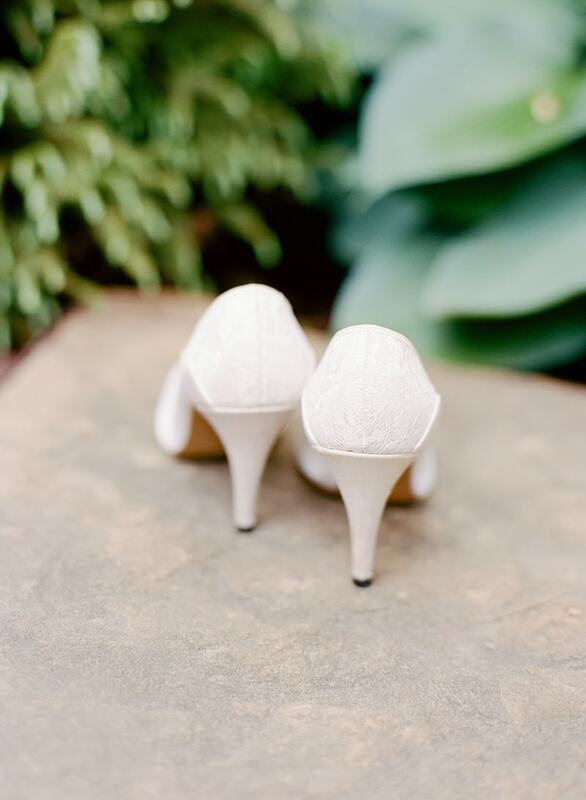 She accessorized with statement earrings and the same pair of heels her mother wore on her wedding day. Amanda’s bridesmaids donned the hue of choice – blush – with short lace dresses featuring keyhole backs. The ladies also matched in ornate earrings and romantic updos. Jeremiah was a handsome groom in a dark gray three-piece tuxedo with a blush tie and matching pocket square. His groomsmen matched in dark gray and were all smiles as they took photos with the groom before the ceremony. 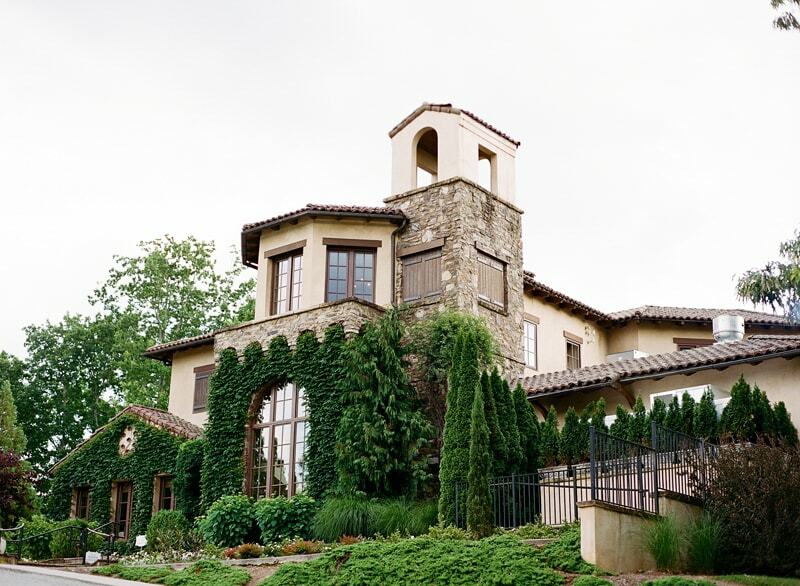 The Montaluce Winery features a stunning panoramic view of the vineyards, along with a pond and sprawling grounds. 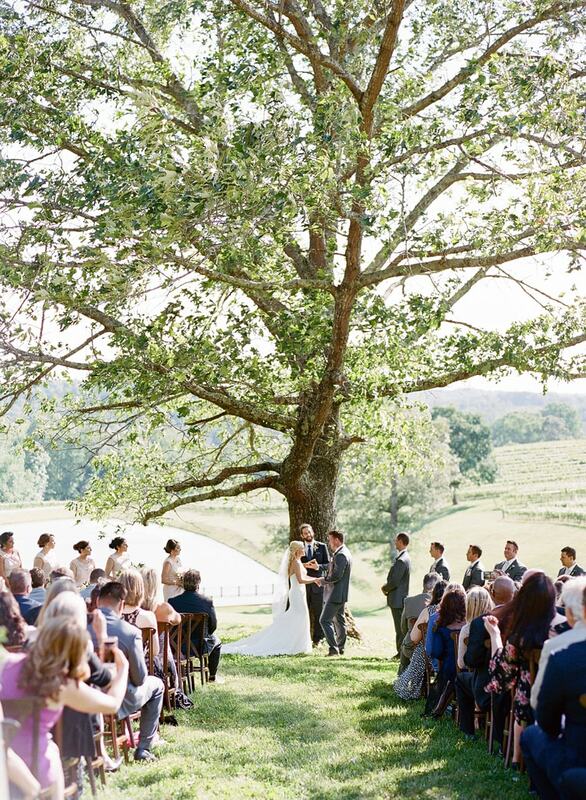 Guests made their way to the shade tree where the ceremony took place. As Amanda walked down the aisle, Jeremiah was in awe at his bride’s beauty. 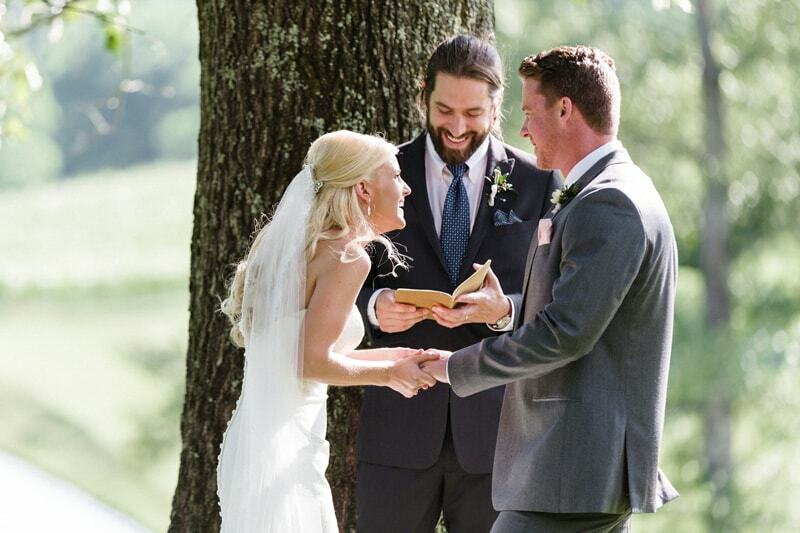 Their ceremony was filled with laughter and love. They sealed their vows with a kiss and walked up the aisle beaming with joy as they were husband and wife at last. The wedding party took photos outside in the shade with the vineyards in the distance. The bride and groom took a few intimate photos together before making their way into the reception. A short walk up a few stone steps and guests were beckoned into the dining room thanks to the aroma of the restaurant’s delicious fare and its stunning décor and chandeliers. Amanda and Jeremiah chose to surround themselves with their loved ones so they incorporated family-style tables at their reception. 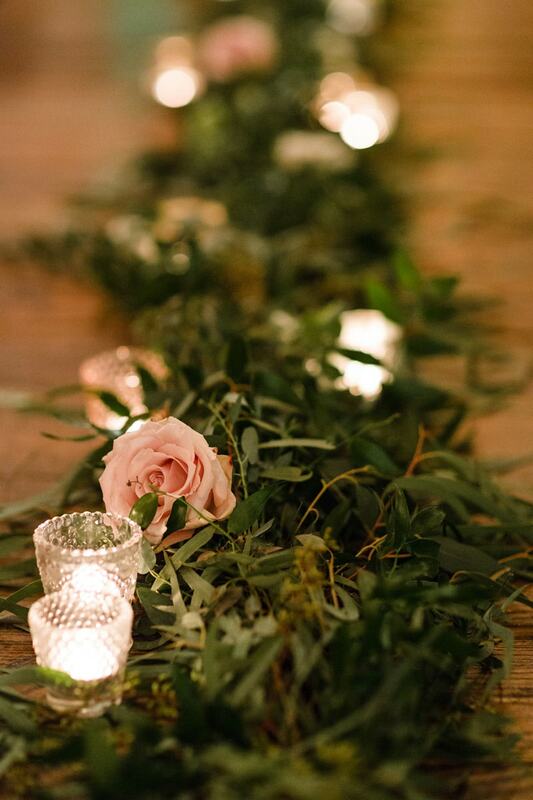 The wooden tables were covered in soft candlelight and natural table runners made of greenery and roses. And of course, their guests dined on a hearty Italian meal! The bride and groom enjoyed their first dance as husband and wife while loved ones look on from the perimeter of the room. 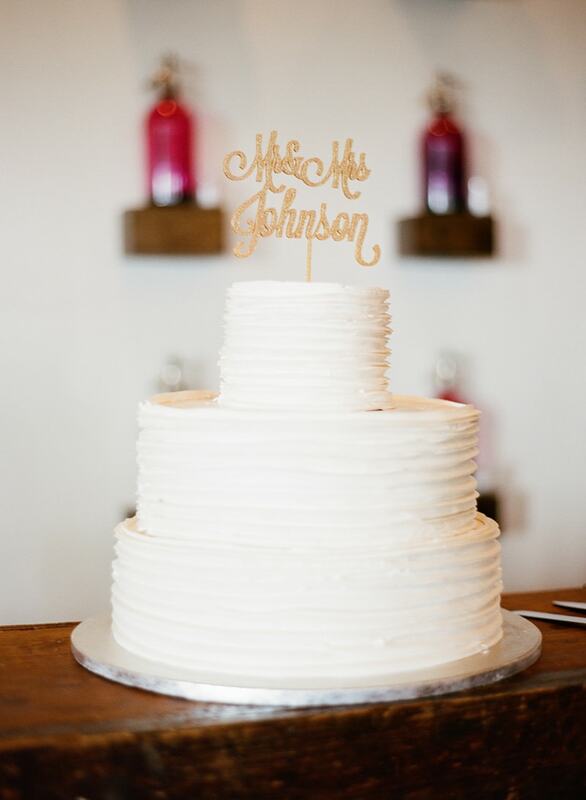 Their cake was a simple but sweet confection with three tiers covered in white buttercream, topped with a golden “Mr. and Mrs. Johnson” sign. For one final nod to their beloved Italy, guests were treated to olive oil favors to take home. 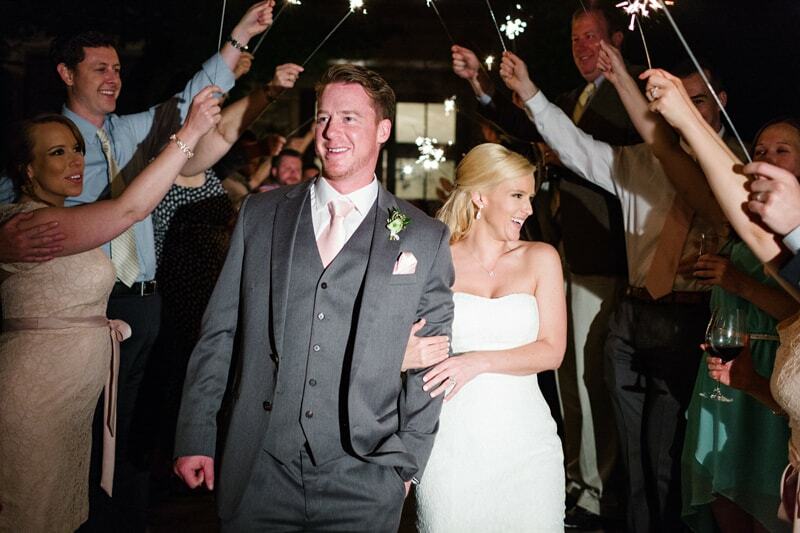 Amanda and Jeremiah exited their wedding through a flurry of sparklers, ending their wedding day with a spirited finish. 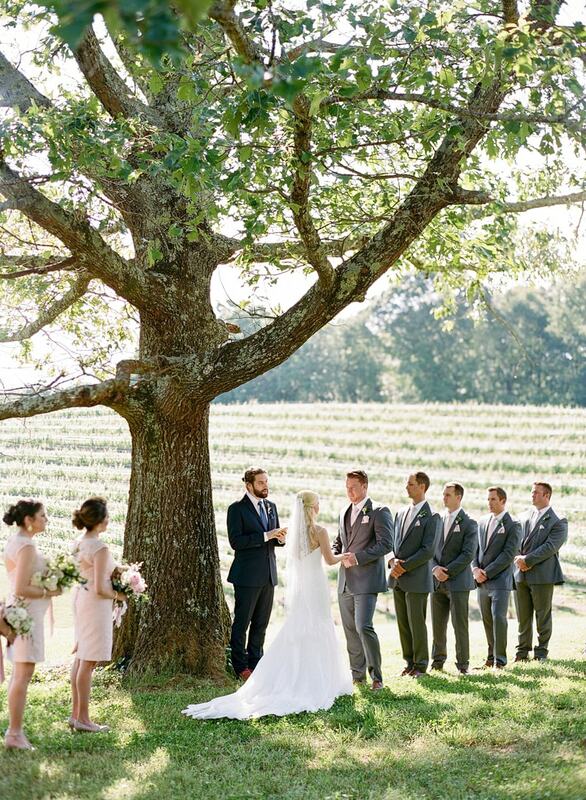 The way Amanda and Jeremiah found a theme they loved and incorporated it was truly special. From the venue to the favors, the relaxed atmosphere and soft color palette, the cohesive details brought the event together seamlessly. Italy will forever be in their hearts, and we’re sure for many of their guests, as well.